Dear friends, I'm presenting you the topic I've input a lot of efforts in. 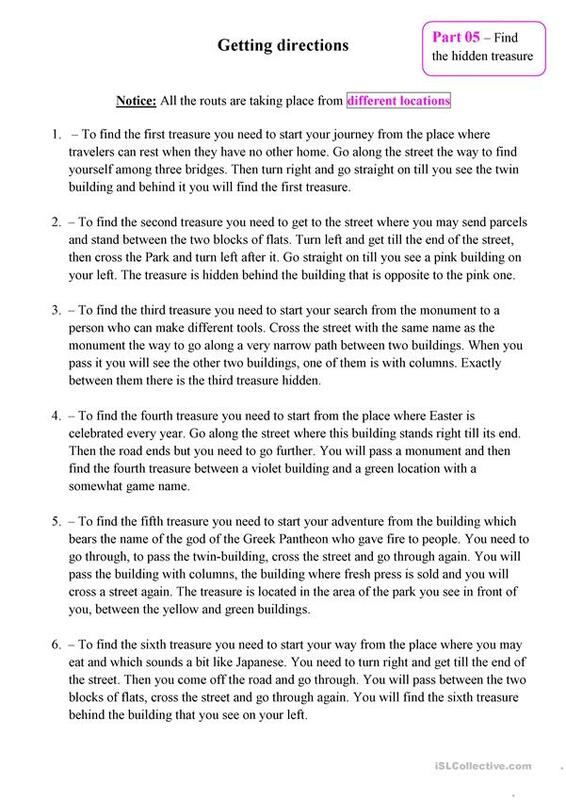 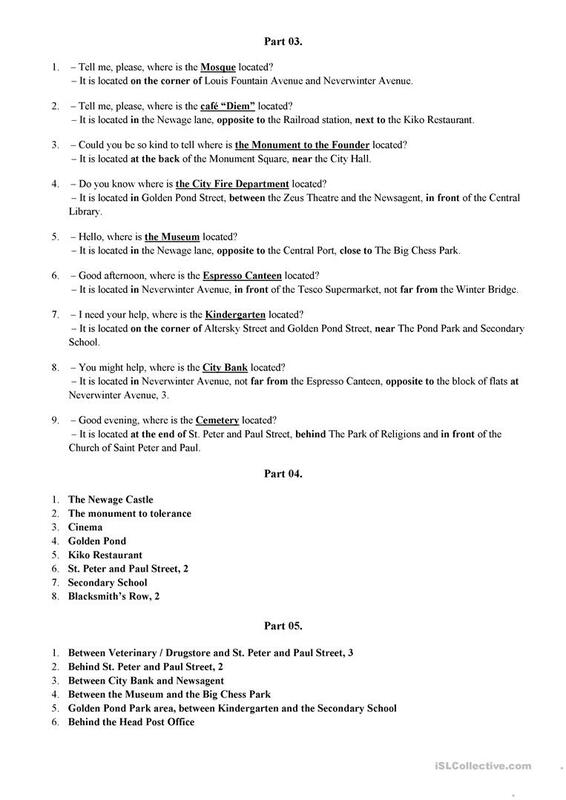 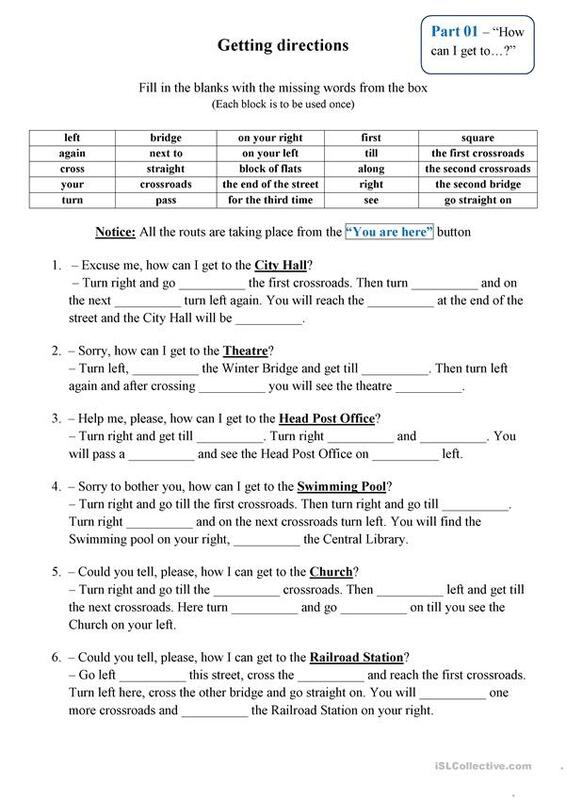 This worksheet teaches how to give directions and understand them, moreover it's done in a nice game manner. 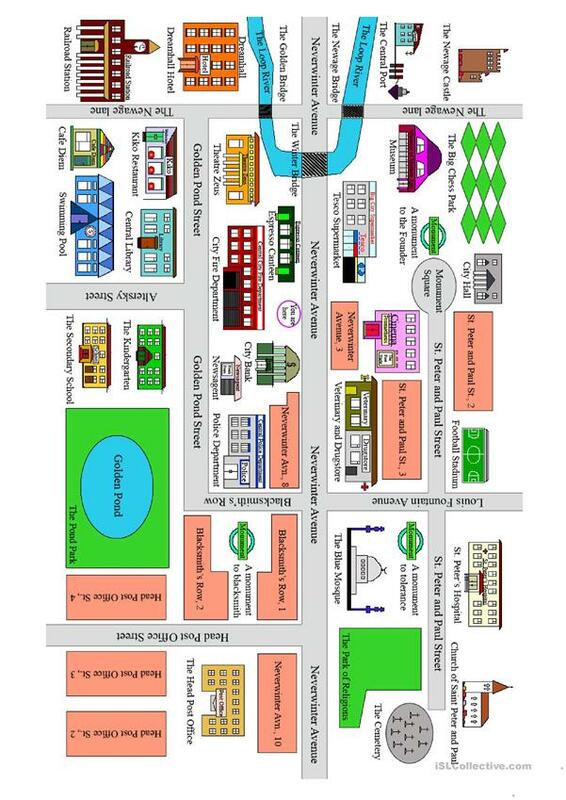 The MAP was drawn by me, in Photoshop (using 1pxl pencil), so just imagine how much time it took me. 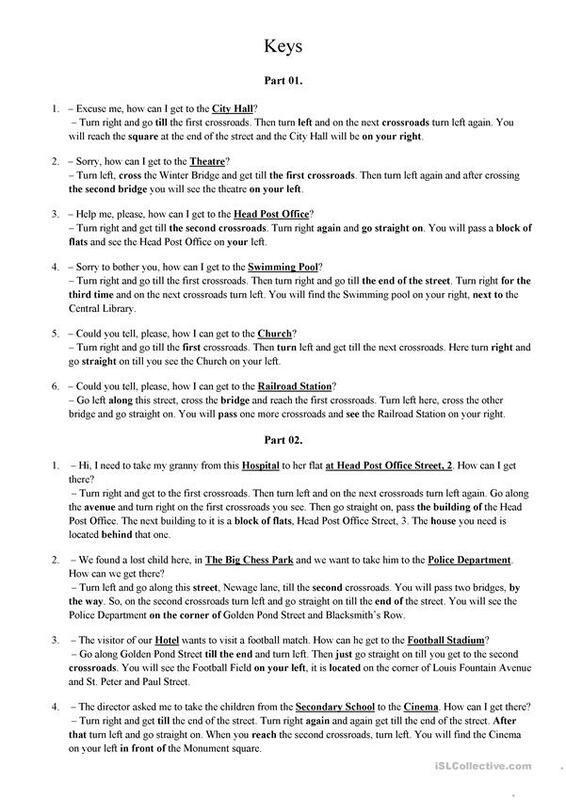 The KEYS are attached, feel free to leave any comments or likes, they are always welcome. 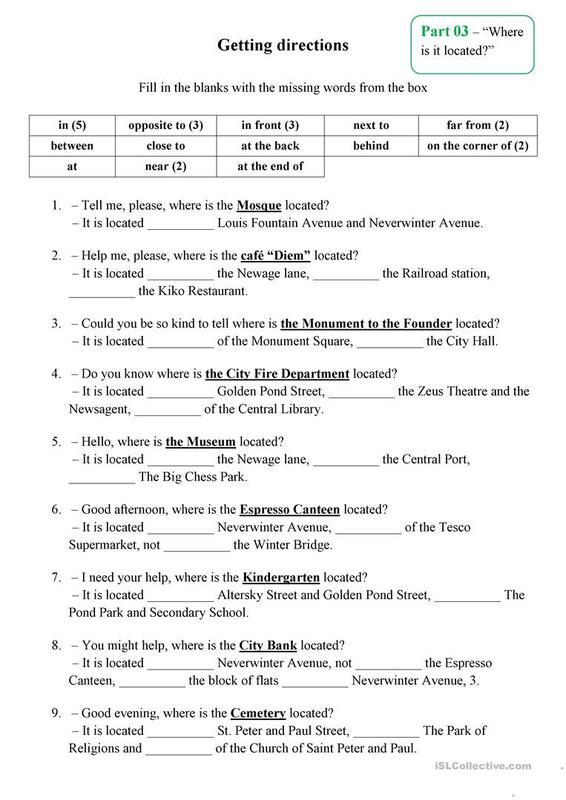 The above downloadable worksheet is meant for high school students and adults at Intermediate (B1), Upper-intermediate (B2) and Advanced (C1) level. 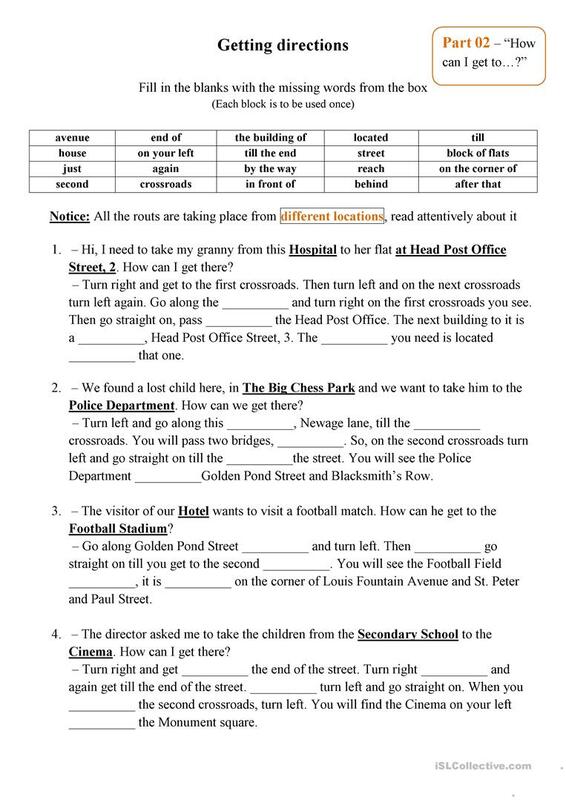 It is great for revising Verb tenses in English, and was designed for working on your groups' Speaking, Reading and Writing skills. 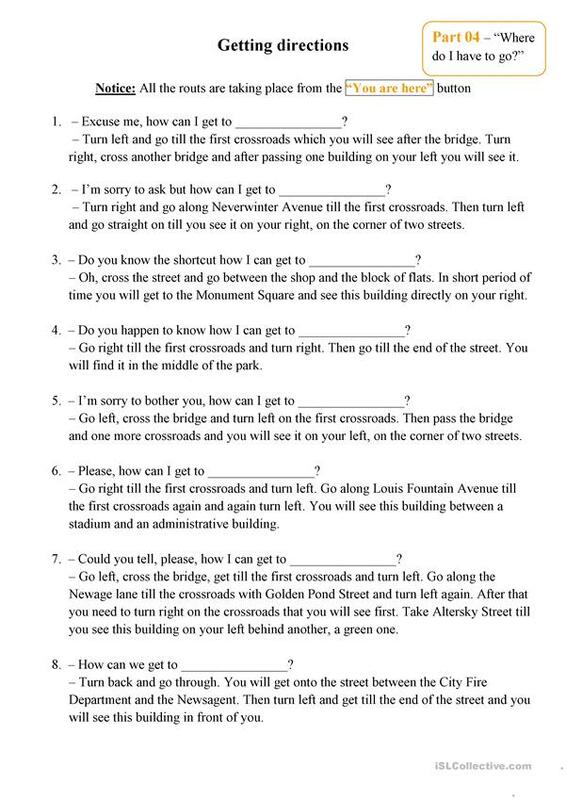 It focuses on the vocabulary topic of Giving Directions.